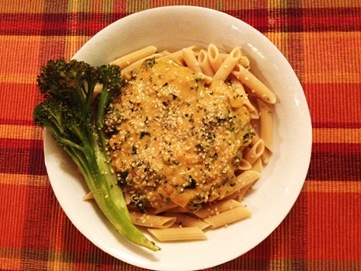 #plantPOWER Pumpkin Alfredo & Hippie Butter Giveaway! 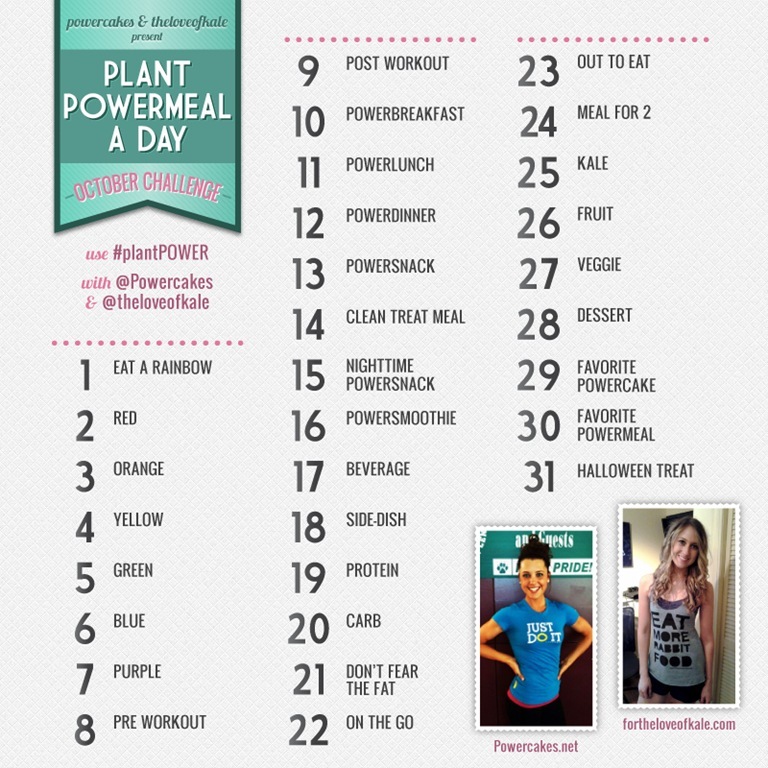 Today’s topic for #PLANTPOWER is Meal for 2! 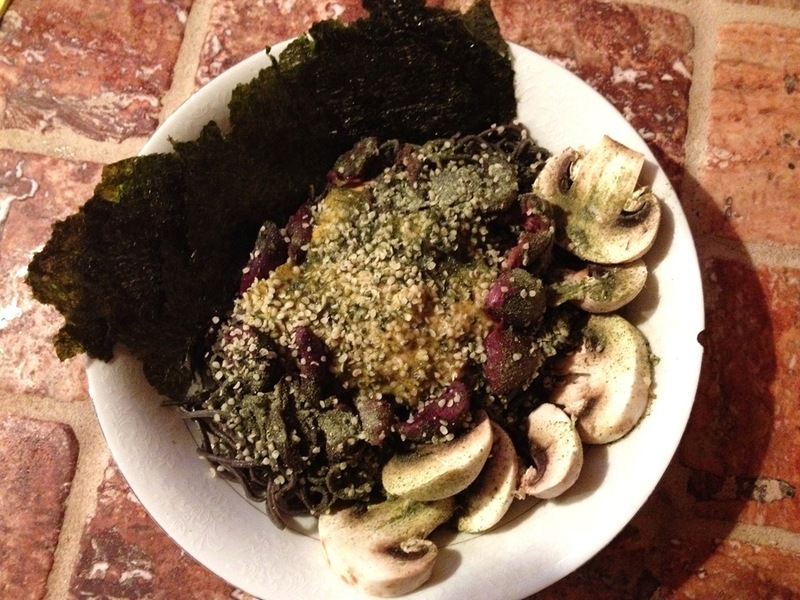 But I’m going to share with you a meal for 4..
2 tsp of hemp seeds per serving – sprinkled at the end! Heat 2 TB Coconut Oil on medium heat in a medium sized sauce pan. 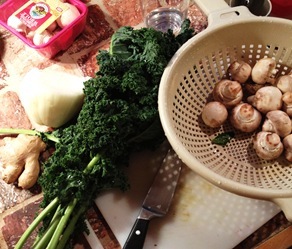 Add garlic, mushrooms, onion, & ginger. Sauté until cooked down – a few minutes.While that’s cooking…. Wash & chop kale, spinach, mushrooms, & onion. Add in your spinach & kale to the sauté. Cook together until kale/spinach cooks down. onion powder, garlic powder & stir together. Stir together and let simmer on medium-low heat for about 10 minutes or so. Serve over pasta/raw zucchini noodles/anything you’d like! *The fam had it over whole grain pasta with a side of roasted broc. I had mine over black bean spaghetti that I found at a local health food store! some extra protein/healthy fat power! Remember how I said leftover’s for 3 days? with a sprinkle of Sea Kelp Seasoning! *Black bean spaghetti, alfredo, olives, roasted veg. of essential omega 6 and omega 3 fatty acids? cardiovascular disease, stroke, osteoporosis and diabetes. Hemp seeds are also very protein-rich! making for a perfect plant based protein source! Leave a comment telling me your favorite plant based meal for 2! 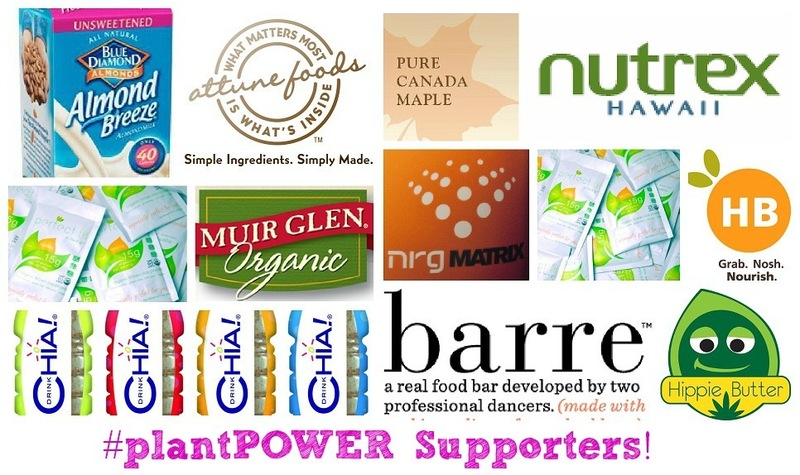 Thank you to our #plantPOWER supporters!! We will be announcing our winners on November 1st! from www.iherb.com for some of the ingredients I used today! and $10 off your first order over $40! I moved! Bittersweet, Passion, & New Adventures! I am SO excited about this giveaway, because I have been DYING to try Hippie Butter! Ok, anyway, I am dragging my husband and 2 little ones with me on the plantpower journey at least one day a week…Meatless Mondays! We’ve had a couple of winners, but the top meal so far is baked veggie spaghetti squash (with carrots, zucchini, and tomato sauce). Even my extremely picky 5 year old liked that one! Another winner is cauliflower crust pizza :). I made theloveofkale’s vegan macaroni and cheese (with brown rice pasta) last week, and was surprised to get a great response to that from my mac and cheese loving kids! And this week was chocolatecoveredKatie’s sweet potato and black bean (I subbed lentils) chili and her “eggy” breakfast bread (really a socca bread). SO yummy!!!! I had an awesome plant-based meal for three (me plus two friends) last night. It was actually similar to yours — mine was pumpkin “mac ‘n cheese.” The sauce was made from pureed pumpkin, almond milk, nutritional yeast, Dijon mustard, garlic, onions, salt, pepper, and almond milk. We also mixed in some wilted swiss chard and some green peas. And we served it over gluten free pasta, too. I’d love to win those Hippie Butter prizes! Would love to win Hippie Butter! Favorite plant based meal is kinda boring. I make a veggie stir fry. Basically just whatever veggies are around over brown rice or quinoa. My favorite Plant based meal for two is a veggie tofu scramble. I take a little tofu and any veggies I have in the fridge and top with some nutritional yeast! This is an awesome giveaway! Lets se, my favorite plant based meal would have to be my momma’s veggie chili. I dont know the exact recipe, but i know she uses a variety of beans and yummy veggies! Love that recipe! I love anything with pumpkin in it and this looks amazing! I’ve been trying ti incorporate more hemp into my diet lately because I’ve been hearing so many great things about the benefits but have yet to try hippie butter! My favorite plant based meal for 2 is STIR FRY! I love adding tons of veggies and trying different sauces! So many possibilities! Ooh I’ve been eying hippie butter for quite some time now and haven’t been able to find it! My favorite plant based meal for 2 is baked refried black bean and sweet potatoes enchiladas topped with fresh guacamole! Well, at the moment, my favorite plant based meal for 2 is vegan lentil meatballs over spaghetti squash….gotta love the fall season! I would LOVE to try some hippie butter! So, lucky me, my boyfriend is a chef! And he makes us the most delicious plant based meals! I am a gluten free, dairy free, pescatarian. But there are many meals we have that have only veggies in it. My FAVORITE meal my boyfriend introduced me to is veggie lasagna! He takes eggplant, zucchini, tomatoes, mushrooms, spinach, kale… And anything else you want. He cuts the eggplant and zucchini and cuts them in long skinny strips. He either bakes the veggies or pan sautes them. Then you layer everything in a baking dish with your favorite (homemade or store bought) sauce. My fav store bought sauce is Rao’s!!! Anyway. Everyone should try this veggie based meal it’s delish! I would love to try Hippie Butter!!! My favorite meal two lately has been to roast a acorn squash (cut in half) and fill each half up with couscous, eggplant, kale or whatever other veggie I have and top with tomato sauce!!! YUM! Veggie stir fry’s are always a good choice because then you can top it on anything! pasta, rice, fish! My favorite veggie #PlantPower meal for two is a vegetarian bean chili – Hot comfort food for cold winter nights! Fun Hippie Butter! As the weather gets cooler, my favorite plant for two would be greens and black bean polenta! Big casserole, so lots of leftovers! one of my favorite plant-based meal for 2 is what my husband affectionately dubbed “trashy mac”! i roast up some finely chopped broccoli (the smaller the chop, the more evenly it gets distributed into the final dish) and some finely chopped wilted kale, mix with some veggie crumbles (quorn or boca both make a meatless “ground meat” that i like! ), add to a basic daiya cheese sauce (almond milk with daiya cheese melted in and garlic powder, paprika, and a dash of cayenne mixed in! 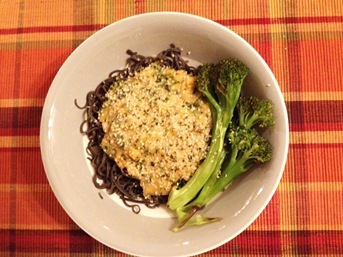 ), and toss it all together with quinoa (or regular) pasta. serve with hot sauce for pouring on top…. 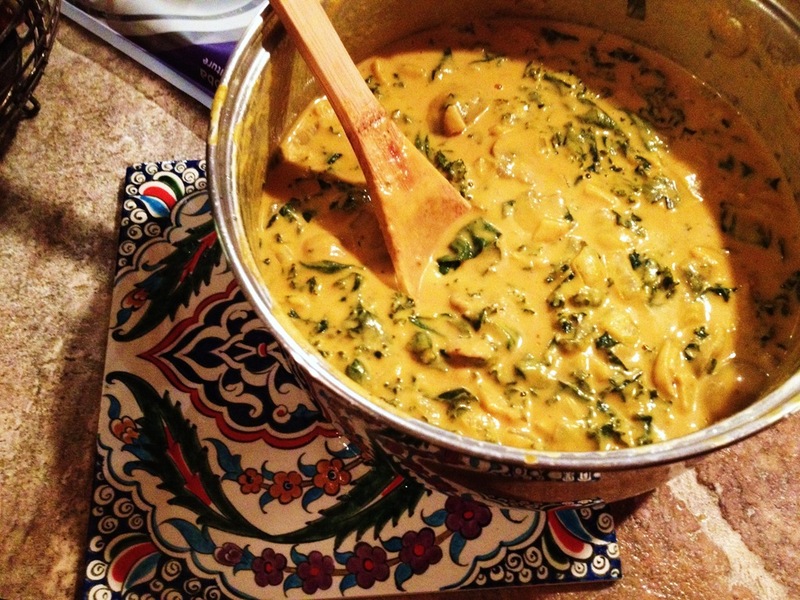 sooooo good in a down-home, comfort-food kinda way! 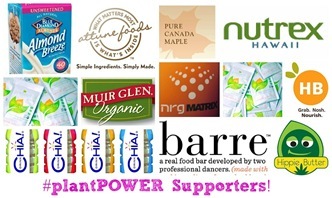 i would LOVVVVEEEE to win the hemp butter! out of all the giveaways so far this is definitely the one i am most excited about, i have been dying to try the plain hemp butter for a while now and i can’t find it anywhere! My favorite plant based meal for 2 is a vegan pizza! This looks so good! My favorite meal for two is pumpkin chili–so delicious in the fall. My favorite plant based meal (that I could eat pretty much all the time) would be a taco salad. With lettuce, spinach, black beans, tomato, avocado & bell pepper. Drizzled a chili-lime vinaigrette. Which consists of olive oil, lime juice, chili powder, & a tiny bit of agave. Have been wanting to try the hippie butter so bad! 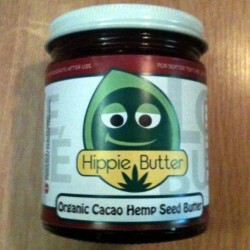 i have heard so many amazing things about hippie butter and have been dying to try it! i love making pumpkin alfredo as well! another favorite meal i make for my fiance and i is baked tofu with some sort of veggie mixed in. sometimes stir fry. 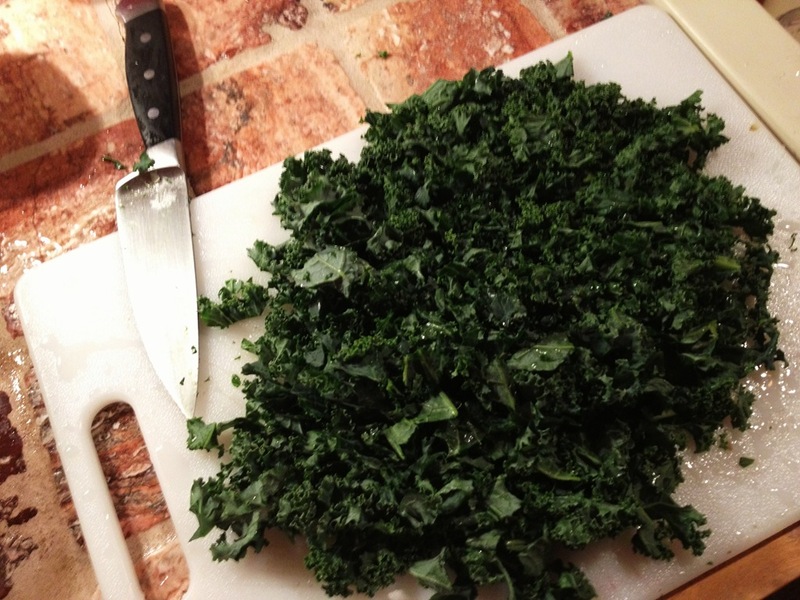 sometimes a kale mix. or really whatever i throw into a skillet. it works right?? My favorite plant based meal for two is powerbowls! A lot of nights when I don’t have any plans on what to cook for my husband and I, I just empty the fridge and find as many veggies as possible to roast or sautee and throw it in a bowl with spinach, hummus, beans, ect! It’s so good and honestly one of my favorite meals!! Mu favorite plant based meal is a giant Powerbowl with tons of veggies and nuts! My favorite plant based meal that serves 2 and MORE is spaghetti squash. I eat it with EVERYTHING. As a “pasta” substitute (I must love pasta), with a creamy alfredo like yours (which I will have to try), in salads, as a desert with cinnamon etc. Basically with anything! My favorite plant based meal for two is to cook a squash and stuff it with quinoa and veggies. This way each person has their delicious half! I serve it with delicious crusty bread!! Yum! Hope I win! wow your recipe looks delicious! i don’t know what’s my favourite meal for two but lately i tried some black beans and oregano soup and it was delicious! My favorite plant based meal for 2 aka for myself and I 😉 is roasted sweet potato chunks that are sprinkled with cinnamon and chilli powder. I top this with flax seed, greek yogurt, peanut flour mixed with coconut flour, and my homemade cranberry sauce. Perfect for any meal/snack and I love every single bite!! I wish I knew you when you still went to SRU but maybe we can somehow meet up and talk because we have so many of the same interests! Yum! My favorite plant power meal for two is a huge tray of roasted veggies. My favs are squash and kale! I have been wanting to try hemp seeds and would love to win some! Or the hippie butter… all three sound fabulous! 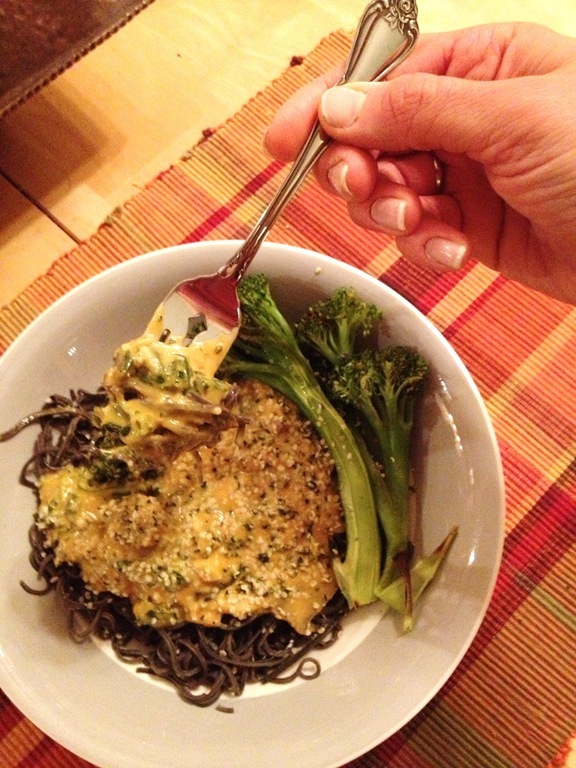 My favorite plant-based meal for two is one that is perfect for cozy, autumn nights at home. I roast a spaghetti squash and scoop out the squash strands to use as the base (squash pasta). Then I make a stir-fry with the vegetables I get from my organic CSA: onions, sweet potatoes, turnips, and leafy greens. Depending on our cravings, I’ll do Asian-infused (liquid aminos, minced garlic and ginger, chili paste, bean sprouts), italian (marinara and mushrooms), or mexican (add black beans, jalepenos, cumin, chili powder). It’s a filling meal that my husband appreciates and even our kids will eat! Id love to try hippie butter! Sounds like a fun company! My favorite plant power meal for two that I have with my boyfriend is anything Mexican- tacos, burritos, salads! We can customize them however like it, which works well for us! Pumpkin and mushroom pearl barley risotto or lasagna with the same basics!!! As a GF gal, I cannot WAIT To try the black bean spaghetti. Genius! My favorite meal for 2 is actually similar – spaghetti squash topped with lots of mushrooms and other veggies, marinara, hemp seeds and nooch. Leftovers for days! I would love to try the hippie butter! My favorite plant based meal is curried yellow splitpeas and chickpeas over black rice! My favorite plant based meal for 2 is usually a quick quinoa salad with feta, kale/spinach, tomatoes, cucumbers, other veggies. Then I usually assault mine with a heavy hand of sriacha. Yum and quick! My favorite plant-based meal for two is roasted vegetable pasta salad. Speaking of, I haven’t made that in a while and need to get a move on. 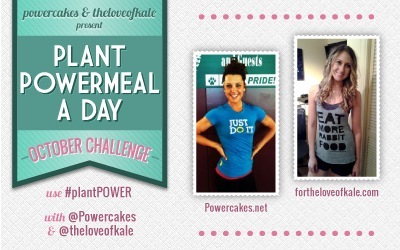 mmm this recipe may be a new fav, but currently I’m loving kale and quinoa salads with avocado! I’ve been wanting to try hippie butter! Must try this recipe!! 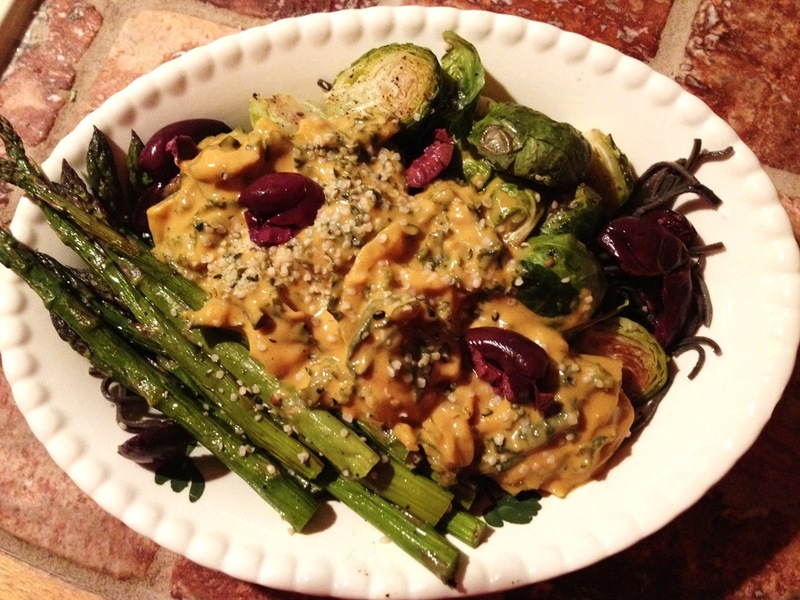 One of my go to meals for two is a veggie stir fry with lots of brussel sprouts and zuchinni with a sauce made of nutritional yeast and sunflower seed butter! My favorite plant-based meal for two is burritos! Filled with rice, beans and lots and lots of veggies. My boyfriend and I don’t agree on much when it comes to food, but burritos we can! im dying to try this stuff! okay, plant based meal for 2? i love making a chickpea pasta with nutritional yeast and pimentos. oh and gluten free. My husband loooves this! i top it with chili pepper flakes. GOOD! Wow, favorite dish for 2? I love making stuffed acorn squash, you each get a half! I make a stuffing that has mainly mushrooms, onions and wild rice, some walnuts and sage and thyme, yummy! My favorite plant -based meal is anything with butternut squash in it. I love making fall themed plant based soups! This week I’ve been eating a lovely butternut squash carrot and cauliflower puréed soup. Yum!! Massive salads with customized toppings! I love love love cauliflower crust pizza for two. Top it with lots of veggies! YUM! That sounds AHH MA ZING! I will def. have to try this out! My favorite plant based dinner has been my quinoa veggie pilaf stuffed acorn squash. It is a mouthful but delish! Cauliflower crust pizza!!! It is so yummy I don’t feel so guilty eating half of it!! 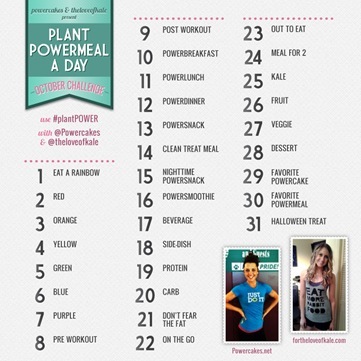 Mine favorite is rice protein and berry smoothie! Love chopped salads with lots of greens, avocado, tomatoes, nuts, apples, cranberries and oranges too! Load it up with veggies and fruits and I even add a spoonful of hemp seeds on top for an extra nutty crunch! Yum! My favorite plant based meal for 2 is spaghetti squash with lots of tomatoes and nutritional yeast. My favorite plant based meal for 2 would have to be butternut squash in spaghetti or diced form with ANYTHING on the top of it. Sauteed spinach, veggie chili, anything! YUM! I love peanut soba noodles. My favorite Asian dish!! I tweeted as well – thank you! I’m so glad to have found your blog! Just in time for this awesome giveaway. I really love zucchini noodles with marinara sauce and some skim mozzarella on top! I want to try that hippie butter so bad! So excited for hippie butter!!! Favorite plant based meal would be a roasted veggies!! I have been dying to try hippie butter..would love, love to win this. My fav meal for 2 would be wraps, roasted veggies, black beans, tofu or walnut crumble, avocado, honey mustard and wrap it in a tortilla or collard with a side of sweet potato fries. Or panckaes, topped with chia seed jam, seed butter or maple syrup with fruit is also yummy. Roasted tomatoes, asparagus, mushrooms and red onions over steamed and well-seasoned with sesame oil, Sriracha rooster sauce and soy sauce seaweed “noodles”. For appetizer, I make lettuce wraps with cucumbers, garlic, tomatoes, fresh dill weed and a pinch of salt. For dessert, I make “caramel” apples (blend dates, agave, coconut milk and a few drops of lemon juice for a healthy spin on caramel). Favorite dish for two is Parmesan Alfredo, hummus, spinach, garlic, hippie butter hulled hemp seeds with a side of fresh beer battered haddock. I like to make a mixture of veggies and tomatoes and have it over some shredded spaghetti squash. Yum. My favorite plant-based meal for two is a tofu stir fry. It may sound boring, but it’s simple, delicious, and easy to make in small batches. I tend to prefer to make larger meals to keep leftovers…I have a few amazing plant-based soups/chillis that are high in protein and freeze really well! Well tonight was a big salad and a second big salad for lunch tomorrow! I’m a single person so my “meals for 2” are always dinner and lunch. I love veggie burgers because I can make several at once for dinner & future lunches! My husband likes his on a wheat bun and I usually wrap mine in a collard or serve it over a salad. Favorite Meal for 2? My hubby and I both love this smoothie that contains spinach, a frozen nanner, pb and chocolate protein powder. It’s so yummy! Making one in the am! I live with my mom, and we love to make a kale and quinoa and zucchini saute with olive oil and garlic……oh man, so good and so healthy! My favorite plant based meal for 2+ is veggie chilli. The main ingredient is cabbage. So so good! Lately, I’m really enjoying making quinoa, blakc bean, and zuccini salad bowl. Super easy, and super delicious! 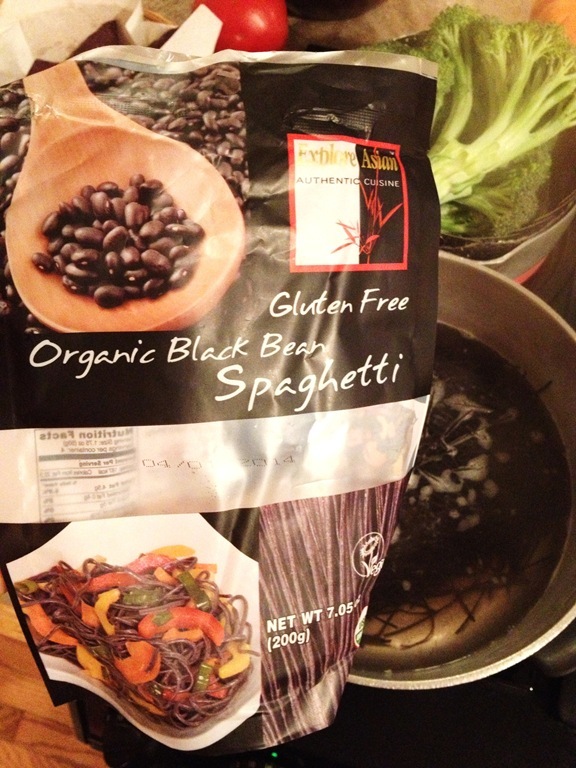 I’ve never seen black bean spaghetti before, now I must go out and get some immediately! I have been dying to try Hippie Butter ever since you mentioned it on the blog! Lately, my go-to plant-based meal for 2 (or four hungry girlfriends) is massaged kale salad with pepitas, green apple, roasted pumpkin and roasted brussel sprouts. The combination is awesome and I bet would be great topped with hemp seeds! Thanks for the giveaway! Yum! I’ve been wanting to try Hippie’s products! My absolute favorite meal is simple and clean: grilled salmon, brown rice topped with avocado, and roasted brussel sprouts! Yummyness! 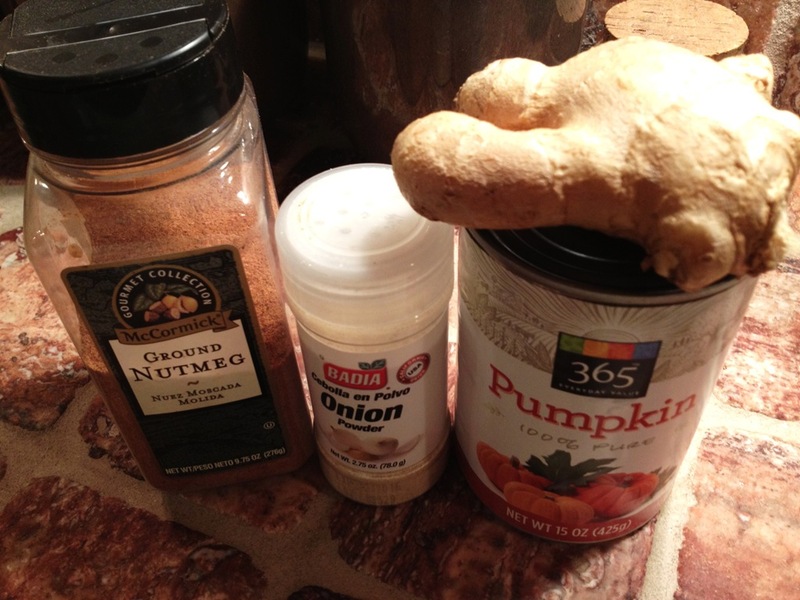 Oh yes, I’m definitely making this pumpkin alfredo. I enjoy cooking up quinoa with broccoli, cauliflower, fresh mushrooms and asparagus! 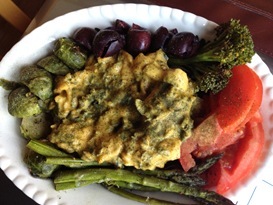 Very filling and nutritious with the veggies! I love stir fried chickpeas & broccoli with a homemade sauce…thanks so much for the giveaway! One of my favorite meals for two is the quinoa with black beans I make in the crockpot. It is SO delicious! I love Hemp so much! I just finished up my bag of hemp protein — I loved using it in chocolate bakes or stirred in with organic vanilla soy milk. YUM! I have been doing a lot of cooking with pumpkin latley. I never thought about making an alfredo with it! I will be trying this recipe very soon. I have soooo many cans of pumpkin. My fave plant powered meal for two was the time I made my dad and I a vegan/gf cauliflower crust pizza w/lots of veggie toppings! delish!! I’d love to try this hippie butter – never heard of it! 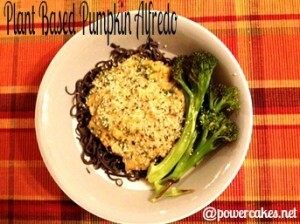 I just cooked this pumpkin alfredo up for dinner tonight and it is so yummy. Thanks for a tasty recipe:) I’m looking forward to the leftovers this week! tjis paragraph is actually a nice article, keep it up. what I had wrritten and say, I’m thoroughly enjoying your blog. 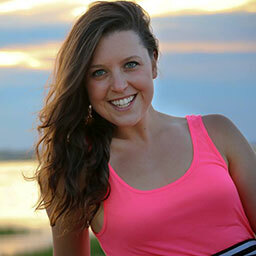 I as well am ann aspiring blog blogger but I’m still new to the whole thing. Do you habe any recommendations for newbie blog writers?